You are currently browsing the category archive for the ‘Organic and Free Way to Kill Weeds’ category. [Wednesday – The Plant Lady Chronicles] I’ll Get You, My Pretties! Hi kiwis, and happy Wednesday! 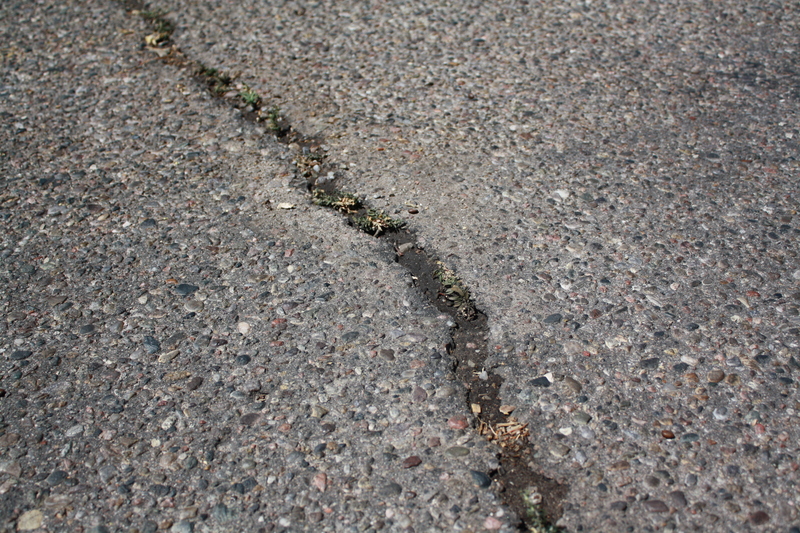 New Mexico’s monsoonish season may be gone, but its effects are still being felt here. And by effects, I mean the zillions of *^$#@ weeds the rain spawned. Goatheads (also known as Puncture vine, Tribulus terrestris), Foxtail (green Foxtail, yellow Foxtail, Setaria), White Horsenettle (also known as Silver Nightshade or Purple nightshae, Solanum elaneagnifolium), and of course, Dandelions (Taraxacum officinale). I don’t really mind the Dandelions, because at least they’re not thorny. My main priority is to eliminate the prickly, thorny painful weeds first because, well, they’re prickly, thorny and painful. Duh. Anyway, I’ve been all over the Foxtail this summer, so they’re not as much as a problem as the Goatheads and the Horsenettle. The Goatheads in particular have had a spectacular resurgence in the last several weeks. So I’ve been pulling. And pulling. And pulling some more. I wish there was an easier way to get rid of them. And there is, I could use weed killer. But I’m not a big fan of spraying toxic crap all over my garden. 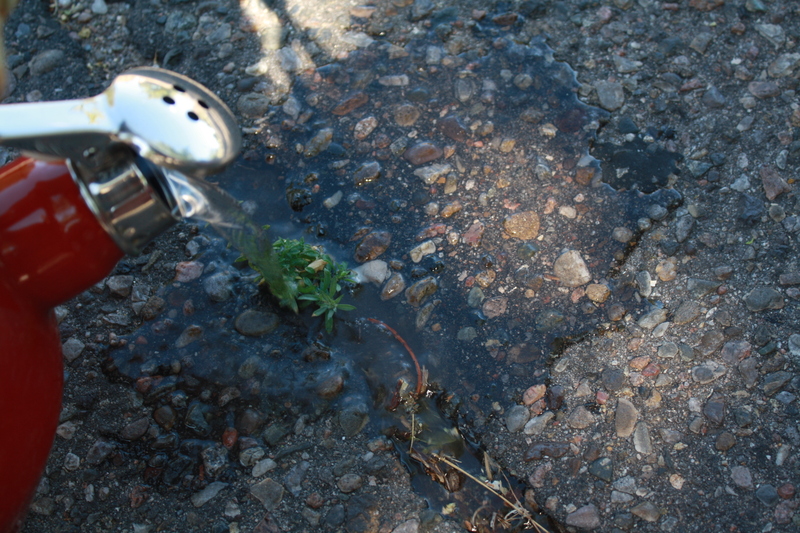 A few months ago, I read on Maria Rodale’s blog that you can use boiling water to kill weeds. She cautioned that it wouldn’t be nice to use boiling water on garden soil, because then you’ll harm all the worms and other bugs living there. 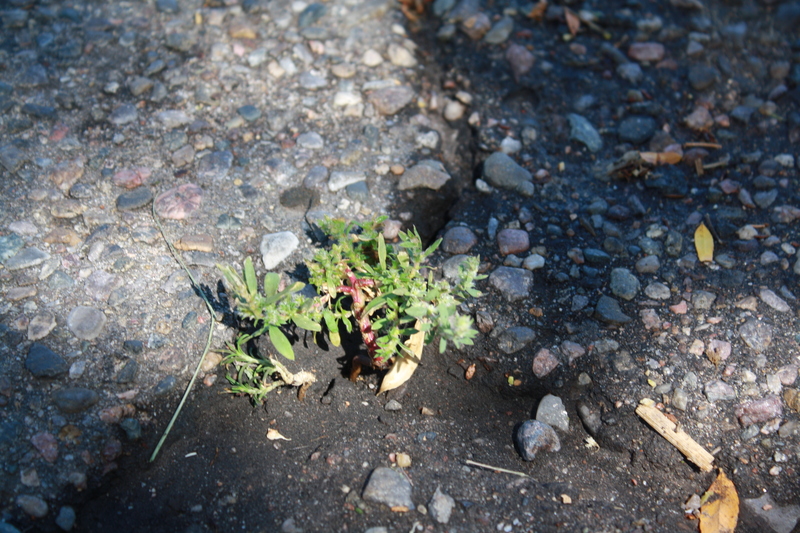 But she said it was perfect for those pesky weeds that like to grow in cracks or hard to reach places. 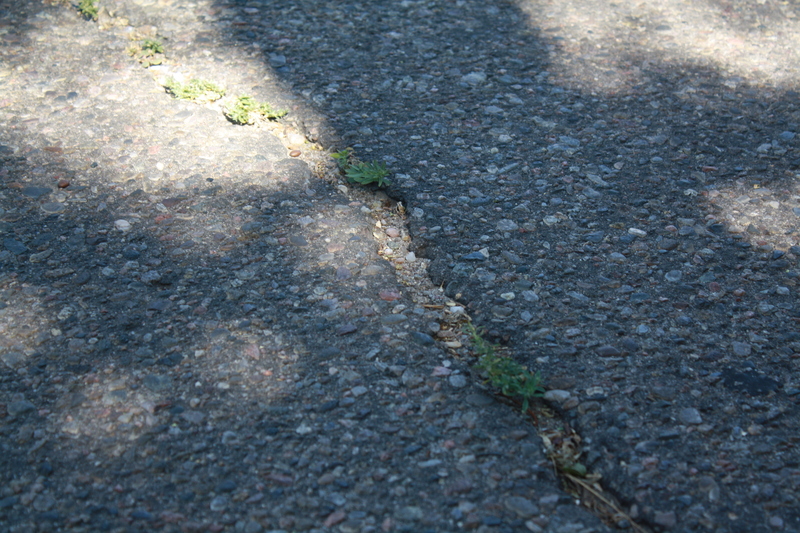 Hmm, weeds that grow in cracks? 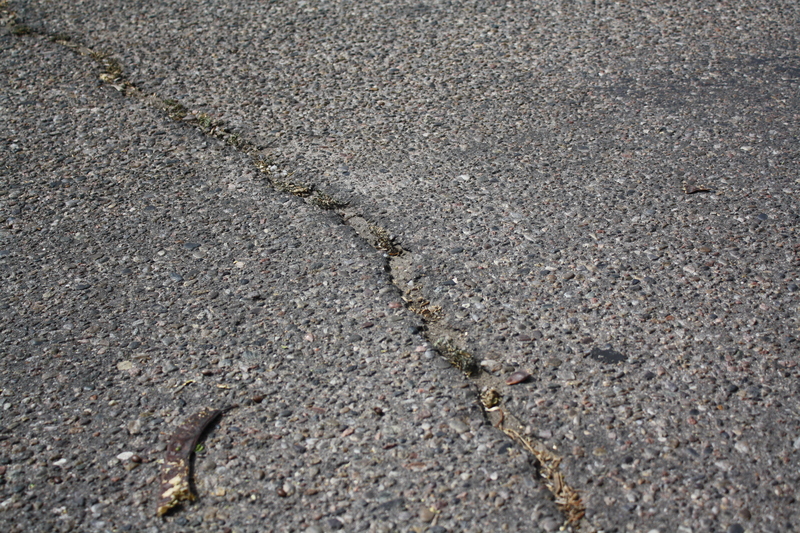 Like these cracks in the street in front of my house? Oh the little buggers! Impossible to pull unless it’s right after a heavy rain. 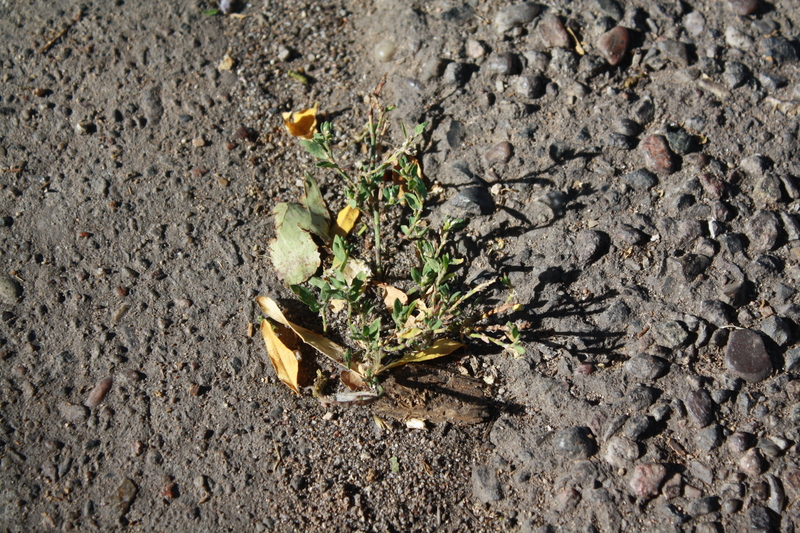 Not exactly the picture of death I’d hoped for – some were still green. But lots were dead. I thought about a second treatment of boiling water, but decided to give them some more time to die, first. Hah! Take that, stinkin’ weeds! The boiling water fried those weeds to a crisp. Thank you, Maria! I mentioned to Mom that boiling water worked great on the weeds, and she said that vinegar would kill weeds as well. Really? I wondered. I decided to test her theory, too. 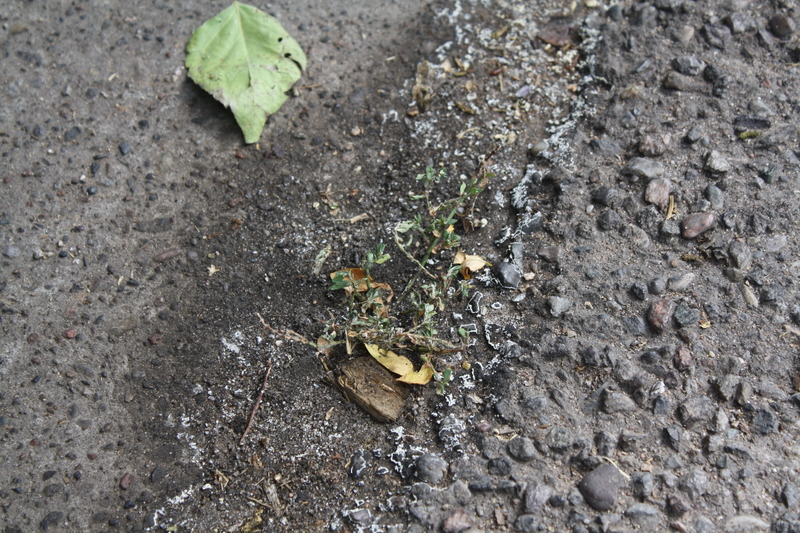 The vinegar left a white residue around the weed, but it was effective. The weed was dead. The next day it was so shriveled that I could barely find it (the white residue was helpful then). So they both work. 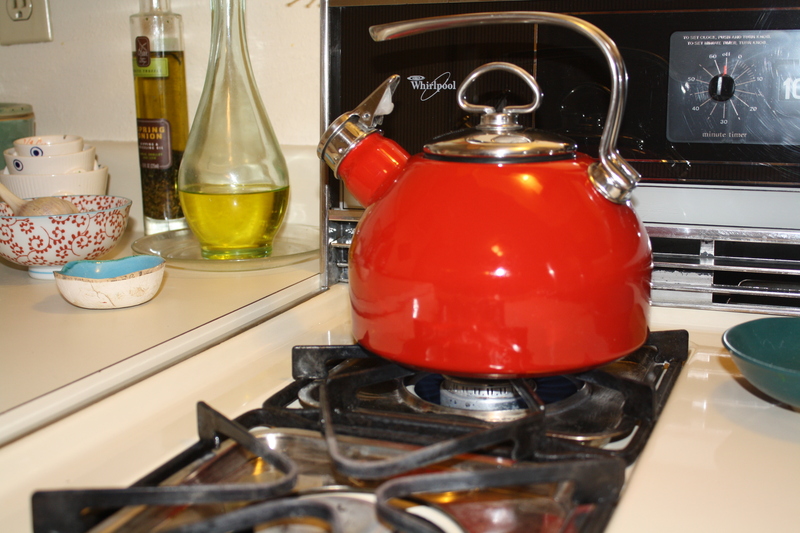 For future weeds in cracks, I’ll stick to the boiling water because it’s free. But really, either one works great. For those of you keeping score at home, it’s currently Liza, 41,983, Goatheads, 0. Only two or three hundred thousand more to go!